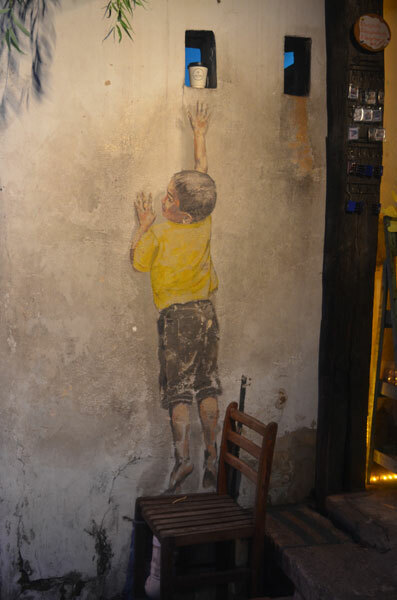 We’re just back from an absolutely brilliant holiday in Malaysia, and of all the places we visited my personal favourite was Penang. 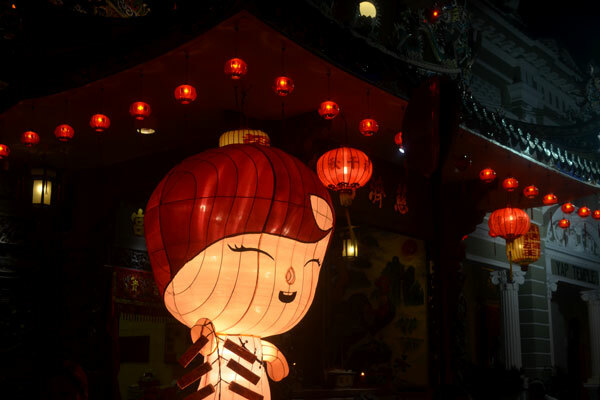 It helped that we caught the end of the Chinese New Year celebrations, which transformed the historical streets of George Town, the small island’s main city, into a spectacle of red lanterns, costumed dancers and traditional drummers. 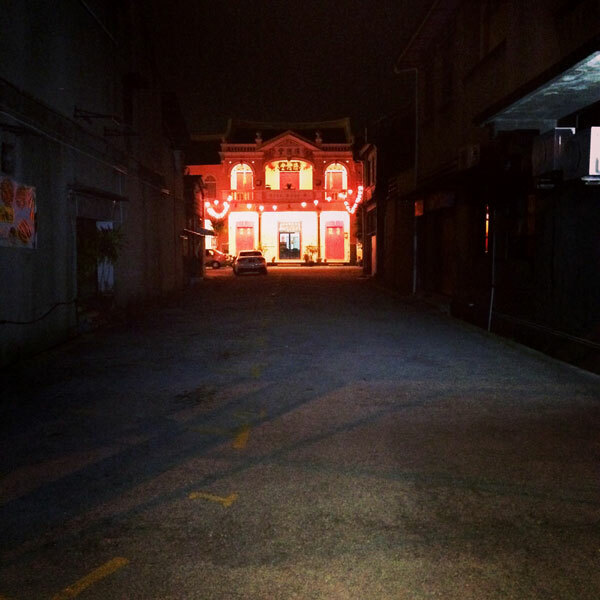 But you could visit George Town any time of year and be entranced by the unique character of the place. 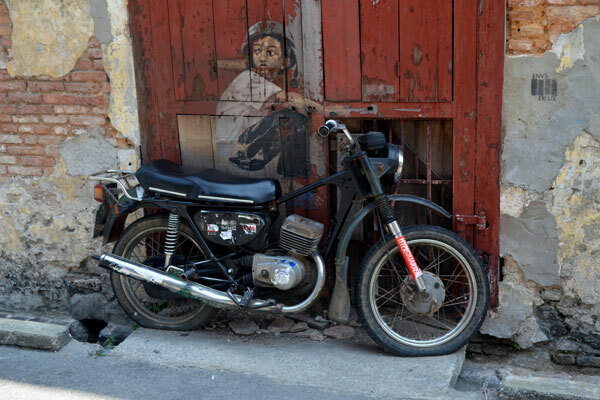 Unlike Kuala Lumpur and its surging skyscrapers, there’s a real sense of history here, and every street seems to hide a Chinese clanhouse with incense burning, or a crumbling colonial shopfront now being used by a moped mechanic, artist or tailor. 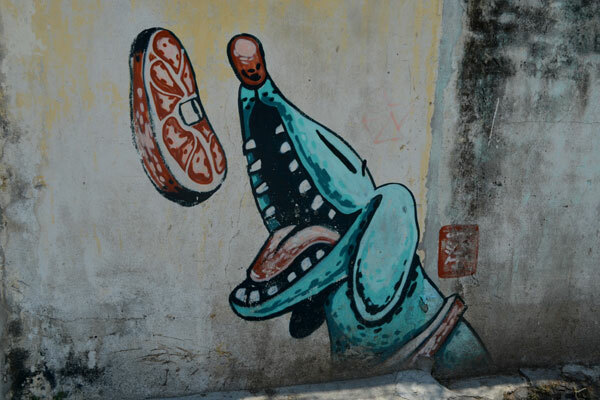 These days Penang is probably most famous as a foodie destination, with good reason. In a country that tosses the best of Chinese, Indian and Malay cuisine into one big steaming wok, George Town is its unofficial culinary capital. The street food, centred around several streets and food courts, is phenomenal, and cheap, and draws devotees from Singapore and beyond. Don’t leave town without trying the Char kway teow or Curry Mee. 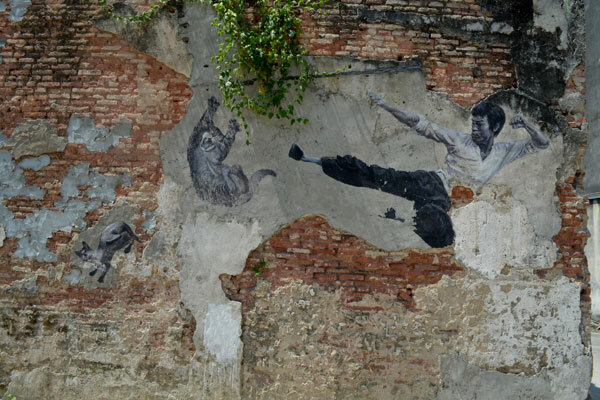 The great thing about Penang though, is that it’s a place that doesn’t seem to be content to rest on its laurels, even though its combined offering of culture, history and food is extremely attractive; there seems to be a vibrant, energetic undercurrent of creativity here, and this is best exemplified in the inventive street art (check out this brochure for more info). 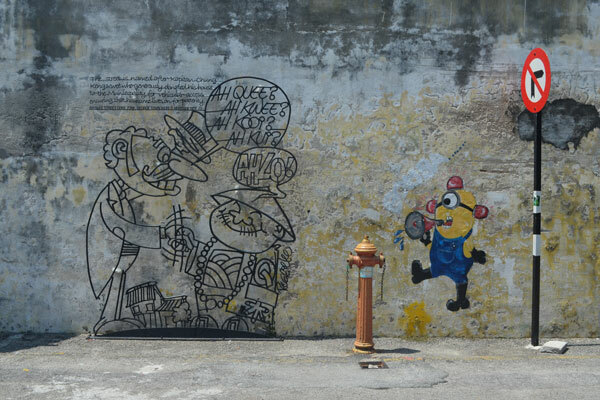 In 2009, Sculpture at Work won a commission to create a series of works to reflect George Town’s UNESCO World Heritage status, and duly produced a series of 52 steel rod caricatures that tell the story of the city’s past. 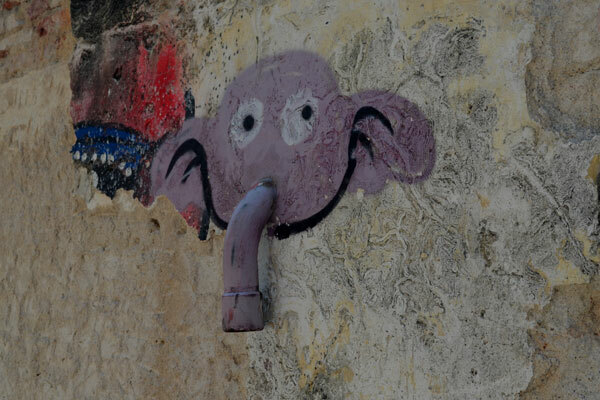 Then, in 2012, Lithuanian artist Ernest Zacharevic created a series of street artworks for George Town Festival, and they’ve become a tourist attraction in their own right – gently humourous, Banksy-esque creations that incorporate physical objects (which make them much more amenable to the endless stream of selfie stick-wielding tourists). 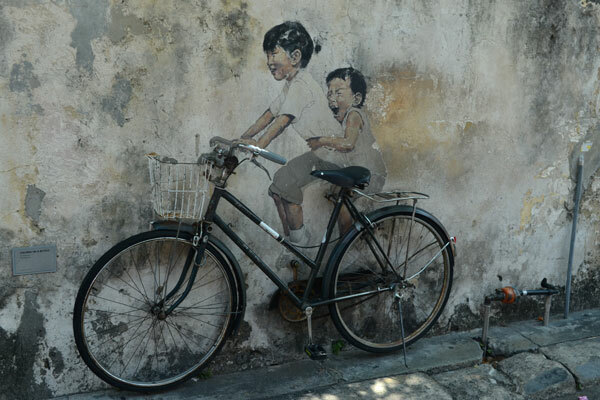 The star of the show is probably the image of two children riding a real bicycle on Armenian Street, and you’ll need to be quick if you want an uninterrupted view before the next photo poser steps onto the saddle. 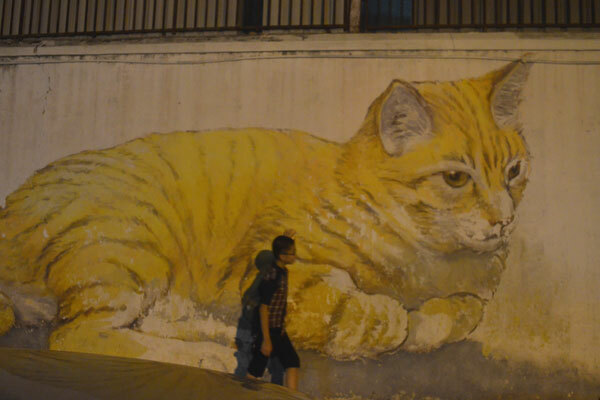 This enthusiasm for street art has branched out into other projects like 101 Lost Kittens and countless anonymous works, prompting some to question whether it’s gone too far. 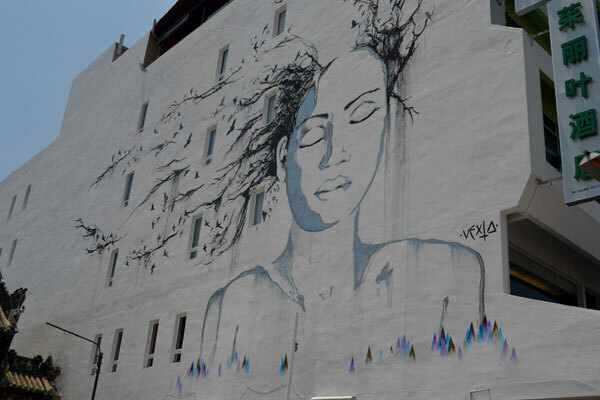 But even when the thermometer’s pushing 30 degrees, as it does most of the time, it’s fun to wander the alleys and avenues of the Chinatown and Little India in George Town to see how many graffiti-d paintings you can stumble upon. Posted in Photography, Travel. 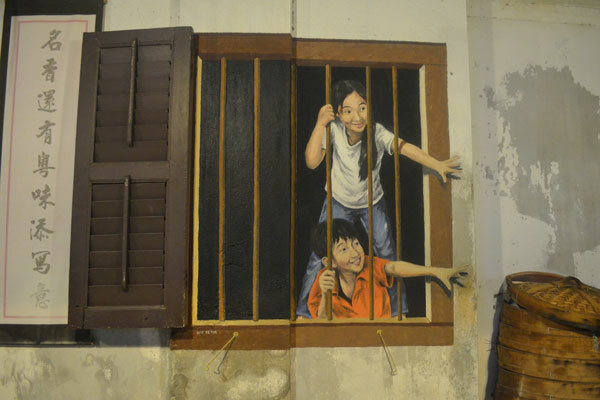 Tagged art, Ernest Zacharevic, George Town, Malaysia, Penang, street art.